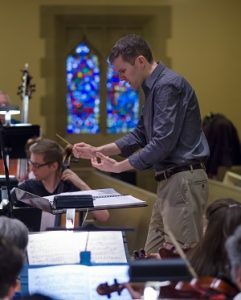 “Stephen Paulus’ music is always moving and powerful.” Adam Waite, music director of Montview Boulevard Presbyterian Church shares some insight into the choir’s upcoming March 4 composer portrait concert which takes place in Denver, CO. The ensemble will be joined by the choir of St. Andrew United Methodist Church and director Mark Zwilling. 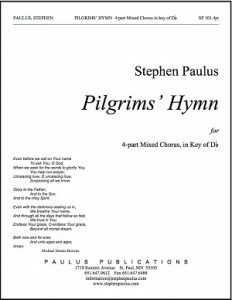 Featured Paulus choral works include: God with Me; Heritage Songs; Hymn to the Eternal Flame; Lord Help Us Walk Your Servant Way, Pilgrims’ Hymn, The Road Home, Twilight Hymn, and We Gather Together. The concert repeats on March 5 in Highland Ranch, CO.
Waite continues. “I find Stephen’s music to be distinctively American. 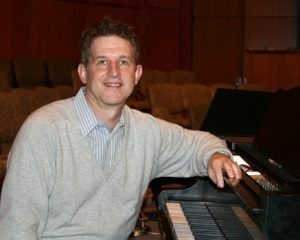 My collegiate studies were primarily in composition, so as a conductor I’m often looking to program pieces by composers that have shaped — or continue to shape — our American classical ‘sound.’ Stephen’s melodic style traces its roots back to traditional folk song, while his harmonic style is a unique blend of sacred harp meets jazz. 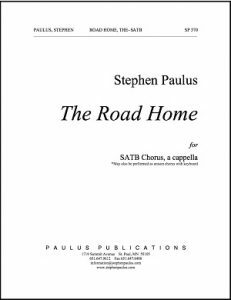 “Mark and I wanted to do a program that would allow us to feature Paulus’ immediately recognizable a cappella sound that he made famous with his works and The Road Home. Stephen’s music is also eminently singable – a very important consideration we had when choosing the composer we wanted to feature with this concert. Our two choirs will combine to create a chorus of over 200 voices. We needed music that would be enjoyable to each singer, even among such a large number. However, we also wanted the pieces to be effective when we were on our own as individual choirs…That was tricky — [we needed] to find music that would b e equally effectual if sung by a choir of 60 voices or by 200+ voices. In this way, Stephen’s music has a great versatility, regardless if it’s sung by a choir of 20 voices or 200. This is a great indicator of the strength of his compositions.” The program also highlights excerpts from Paulus’ chamber work Courtship Songs, which will serve as short interludes between program sections.